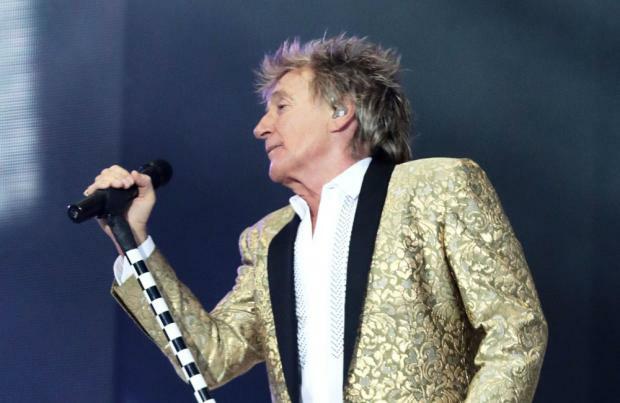 Sir Rod Stewart has announced an exclusive signing event to mark the release of his 30th studio album 'Blood Red Roses'. The announcement comes in line with news of his latest UK tour. He will take to the road for seven shows in 2019. Tickets for Rod Stewart Live In Concert go on sale at 9am Fri 21 Sep. The rock legend will give fans the chance to meet him and get his autograph on copies of the record at hmv's flagship Oxford Street store on October 3, following the official release of the LP on September 28 on Decca Records. The 'I Don't Want to Talk About It' hitmaker released his latest album after three years away. It includes an emotional ballad from the perspective of a concerned parent. The 73-year-old star - who has two sons, Alastair, 12, and Aiden, seven, with his wife Lady Penny Lancaster, plus six grown-up children from past relationships - released 'Didn't I', which is about the damage drugs can do. Though the song isn't said to be about any of his own brood, the former Faces star's son Sean, 38 - whom he has with his former model wife Alana Stewart - has previously battled addiction but came out the other side thanks to his dad's support and stints in rehab. 'Didn't I' is the first taste of the 'Maggie May' hitmaker's "deeply personal" 13-track collection containing all new material and three bonus covers. Tickets for Rod Stewart Live In Concert are available from 9am on Fri 21 Sep. Missed out on the event hmv did where u get a wristband and rod sign the album as I was at wrk although I have pre ordered the album from hmv and get early access to tickets before the public will they let u in if u can provide details that u have bought it from hmv ???? ?